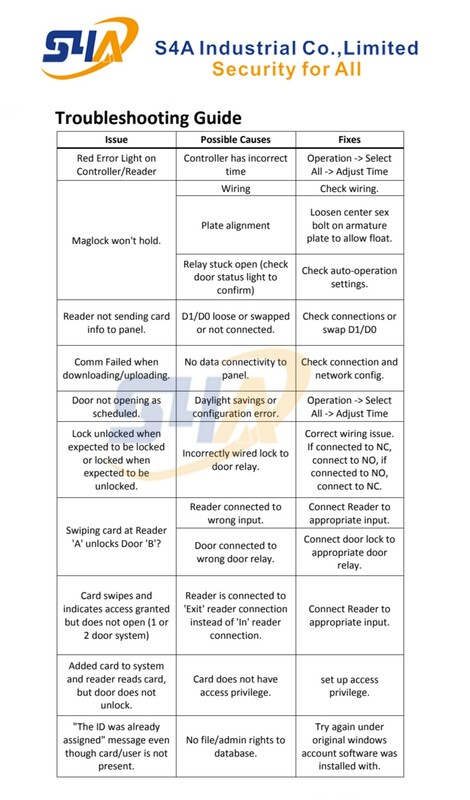 Now, many customers get a problem that how to connect biometric device ( such as finger reader ,facial device etc) to controller and how to operate in the software. This solution also suitable for how to connect facial recognition to controller. The default output of Fingerprint reader is wiegand 26 bit. so there has connection the cables with D0 , D1 ,GND for access control! current flow to support fingerprint card reader. Generally , the default wiegand output format is device No. + register No. then you can register card No. in access controller software. then you assign privilege to this user , finally the user registered on fingerprint card reader can open the door. it means, if in the same network, we need to install 10pcs fingerprint reader and enroll 1 time. then upload to the 2nd device to the 10th device. we could order FR-001 fingerprint reader, for more information, pls inquiry now! 12: Why do we need network access control? A network access system allows us to identify who and what is on our network. It keeps unwanted devices and unauthorized users out which ensures that network assets are protected. 13: What else does network access control do? It also allows us to provision and enforce custom security policies, create reports for regulatory compliance, and easily identify at-risk devices.